Tucked away in Reading is a somewhat enigmatic musician named Sten Bowen. It's not that he's a recluse or intentionally mysterious. He's been a working composer and musician since starting out with the now-defunct Boston rock band Alotia in the early 2000s. A Google search yields a handful of recent results, from his work codirecting Guster's music video for "Do You Love Me?" to his compositions for Massachusetts creative firm Bait & Tackle Ad Co.
Bowen himself rarely takes center stage, but in September he quietly dropped a home-recording project called Four Living Creatures. In its sparse liner notes, a longtime associate, musician/producer Linda Perry of 4 Non Blondes, dubs him a musical genius. Bowen makes art-pop that blends folk, electro and neoclassical influences. He's a masterful multi-instrumentalist, playing guitar, bass, drums, piano, synthesizer and mandolin. His vocals can be raw and untouched ("The Tenderest Kiss") or highly processed and Auto-Tuned ("Blood on the Mountain"). Occasionally, Bowen shouts his way through his thoughtful contemplations ("Be the Life for My Brain"). Unlike conventional pop, which follows a fairly regimented pattern of verses and choruses, Bowen's songs often reinvent themselves as they unfold. 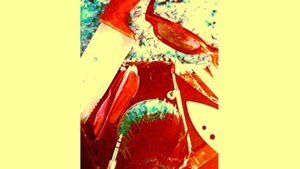 New hooks and musical elements emerge well into a song's progression. This music demands a close listen. Bowen describes the tracks included on Four Living Creatures as part of his search for God — though how he defines the deity is not made explicit, if he defines Him/Her/It at all. He doesn't shy away from asking questions. On "Be the Life for My Brain," Bowen repeatedly ponders, with seeming desperation, "I don't see what this has got to do with me." It's as if he's poring over a holy text, trying to connect the dots between lofty philosophy and his earthly existence. "One Day We All Will Shine Like the Sun" has the structure and cadence of a hymn, and possibly dwells on the concept of the Rapture. "But You Do Not Answer" buzzes with chaotic synths, like the noise a reverent soul must learn to filter when prayers seem to fall on deaf ears. The depth and intricacy found on Four Living Creatures is even more staggering when you learn that Bowen is currently sitting on 10 unreleased albums. Whether he'll ever release them is anyone's guess, though Bowen hopes to bring his music to life with a full band. Until then, his existing offerings invite discussion and repeat listening. 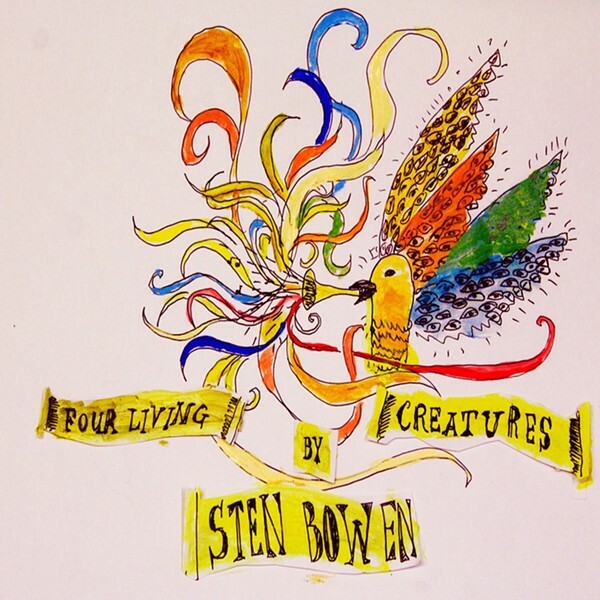 Four Living Creatures by Sten Bowen is available at stenbowen.bandcamp.com.